Entrepreneurial by nature, Alison embarked on her first business venture at the age of twenty-two, launching, scaling, and later selling a successful Chicago dining establishment. Her next incarnation as an Organizational Development Director at the Worksite Wellness Council combined her business acumen, holistic studies and passion for integrating cutting edge wellness programs within large corporations. Alison went on to co-create, facilitate and manage the adoption of the first holistic health degree program by an educational institution at DePaul University’s School for New Learning. 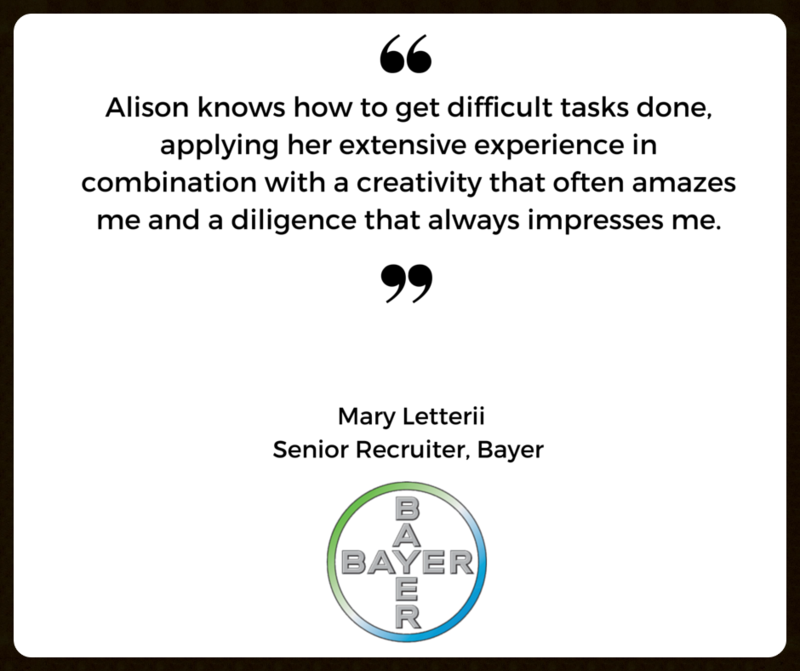 Alison’s drive and passion led her to recruiting at Artemis Search where she oversaw retained searches from inception to completion; lead operations and research; and supervised teams assigned to each project. Over a decade ago, the natural evolution of her talents propelled her to establish Mariposa Search, a boutique executive search, consulting and solution firm in Silicon Valley, one of the most competitive markets in the world. From its inception, Mariposa Search has been committed not only to the quality of excellence associated with the suite of services it provides to socially-conscious businesses but equally to diversity and inclusion, worksite wellness and culture transformation. As acting CEO, Alison has built lasting relationships with both privately held and publicly traded companies; working with the giants of Silicon Valley, countless startups as well as with international thought leaders across all sectors. Alison serves in various capacities for organizations such as: Wisdompreneurs, LifeBeforeDeath, Posibilitz, ALL IN, Wisdom 2.0 Women, Esalen Institute among others. 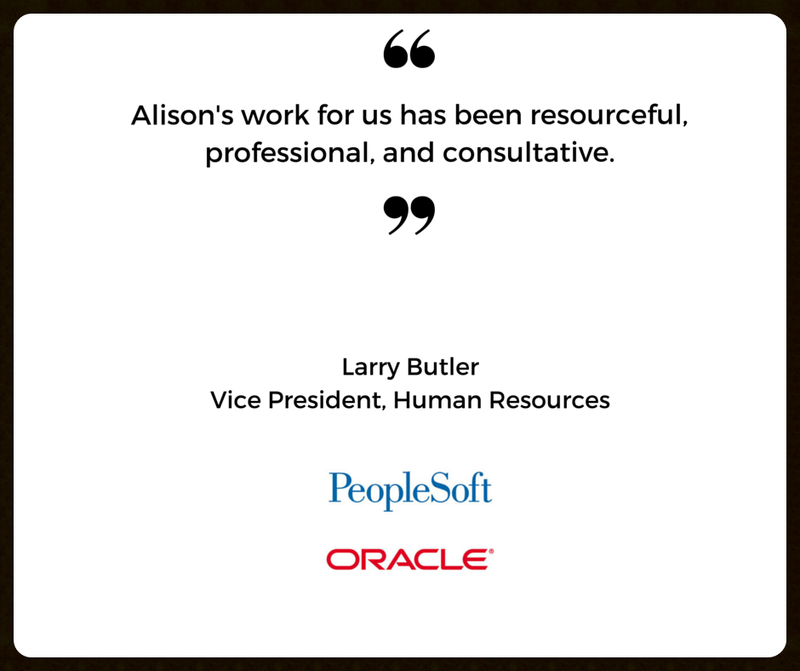 Alison is firmly committed to social justice, and regularly donates her time to a number of volunteer organizations. She acts as co-chair for the Bay Area Recruiters Association and has extended affiliations within research associations and other retained search firms. 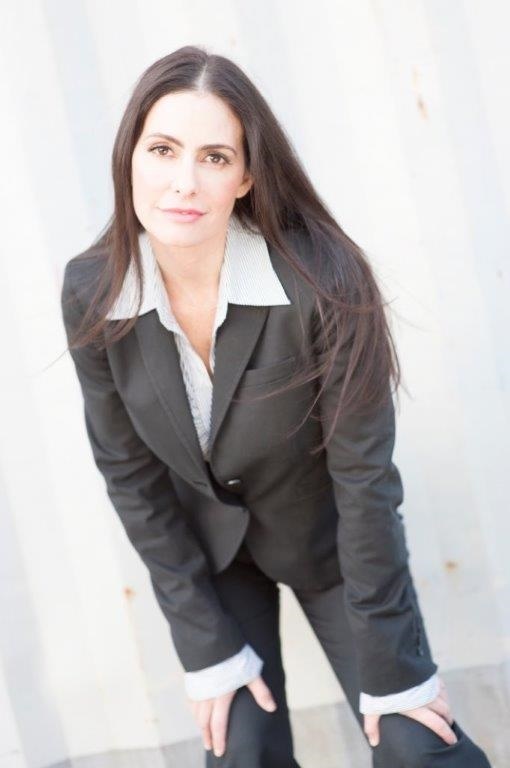 She holds Bachelor’s degrees in Holistic Health and Philosophy from DePaul University. Alison has always embodied the beliefs behind the term "Conscious Business". Her personal integrity, global values and commitment to innovation directly translate to the projects she engages and how she conducts business. Her core values extend to right action in our business, social, and global environments.